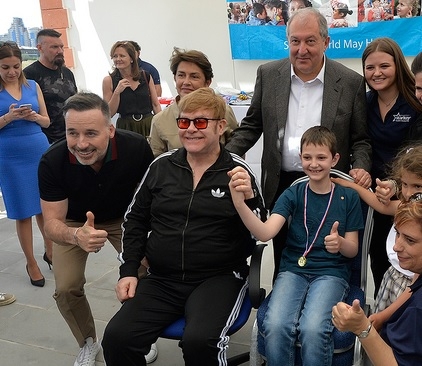 Elton John and his husband, David Furnish, said they get the feeling that Armenia is going through a “tsunami of change,” that it is “emerging as a country,” and that it felt good to both be part of the change and to help it. 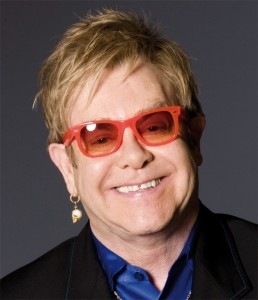 The legendary British singer and composer arrived in Yerevan on May 27 representing his Elton John AIDS Foundation to support Armenia’s local charity, Yerevan My Love. John said he feels that new Armenian Prime Minister Nikol Pashinian, who came to power in a wave of mass protests in early May, will enable “things to change for the good” in the country. He told RFE/RL’s Armenian Service that he wants to help create a safe environment for AIDS testing, and to help rid Armenian society of the stigma associated with the disease as well as with being a member of the LGBT community.